“Our property is directly adjacent to Newark International and nearly all our guests are coming from or going to the airport. 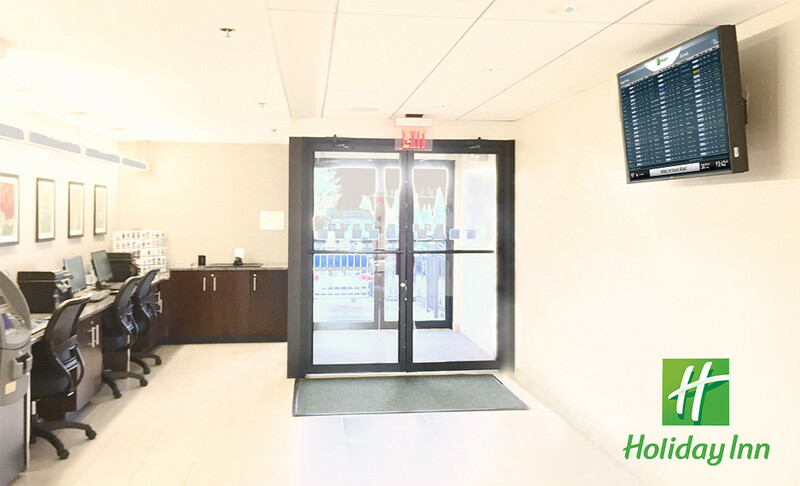 That is why we installed the FlyteBoard flight information display, so guests can verify flight times without calling their airline or pulling up an app on their handheld,” said Vanessa Ng, sales representative for the Holiday Inn Newark Airport. The property provides guests with many travel services including a 24-hour airport shuttle service. “Guests often extend their stay when they see an all-night delay or cancellation. FlyteBoard is a valuable guest amenity for airport properties like ours that care about helping guests have a great stay.” Ng noted that many guests wait out delays in the hotel’s 450 Bistro & Lounge for a beverage or meal until they see their flight is rescheduled.